Through the years, I've had my fair share of phases. There was the heels one where I couldn't resist a spanking new pair of pumps. Even hats and nail polishes had their moment in the sun. The past couple of years have been about bags and I'm starting to suspect that it isn't just a phase—it's a love story for the ages. Whether it's a clear sling I whipped up on the wave of the transparent trend or a monogrammed tote I stuff to the gills on busy days, I'm slowly and steadily finding my bag staples and making them my own. However, the mini crossbody has alluded me for far too long. So I decided to take things into my own hands and make one myself. It's tiny, can hold the essentials and barely takes a half hour. 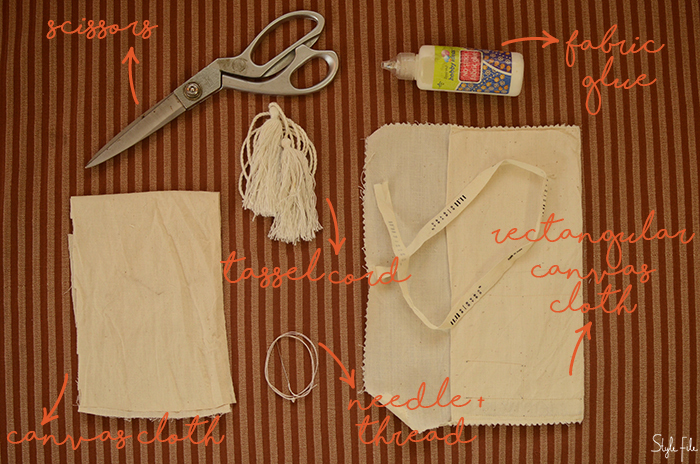 If you want to make your own mini crossbody bag, here's how to do it. The main components you'll need for the bag are two large pieces of slightly thick canvas cloth with one of them being in a rectangular shape. If the material is too thin, the bag will go limp so choose your fabric wisely. 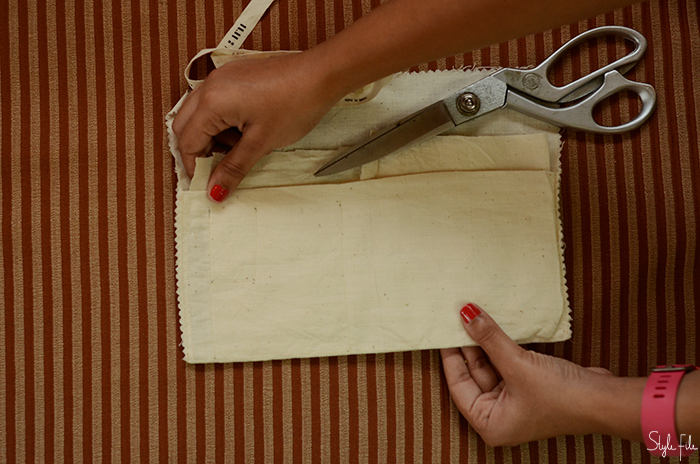 To assemble the bag, you'll need fabric glue, a pair of scissors, a needle and a thick thread. 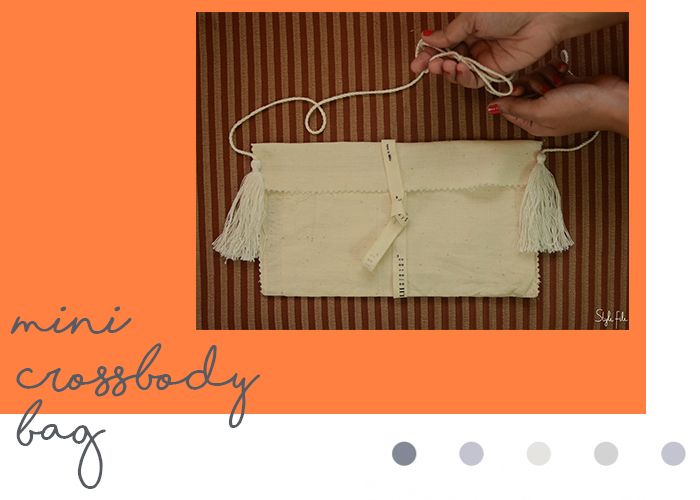 To hold your bag, you need a matching cord with tassels attached or you can add them separately. In place of the rectangular piece of cloth which forms the body of your bag, I'm using a basic fold up cloth pouch from 11.11. To make your rectangular cloth in its shape, fold 1/3rd of the its width over the centre section. Stitch the sides together to close the ends and keep the top flap open as the mouth of your bag. Once the main body of your bag is ready, place the second piece of cloth inside it, roughly measure and cut it according to its size. 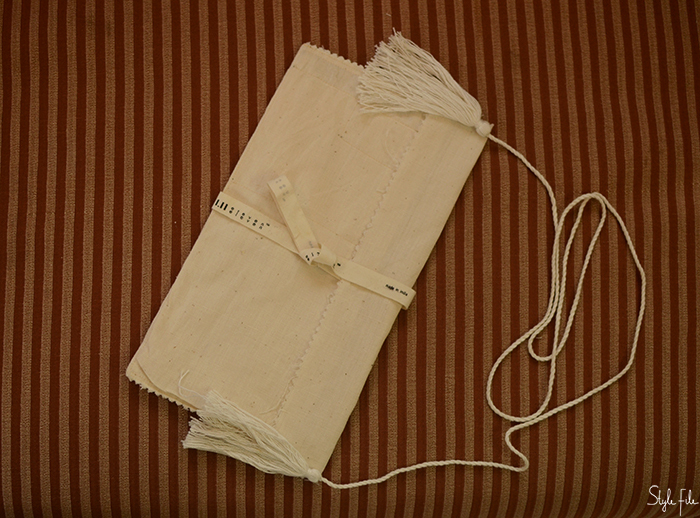 This additional piece of cloth is meant to reinforce the strength of the bag so that it doesn't fall flat. That's why it's important to choose a cloth that's of a similar colour and fairly sturdy in size. Then over one side of the loose cloth, apply a layer of fabric glue. Be generous with the glue because we want it to stick to the inner side of the bag properly without any loose edges coming out. 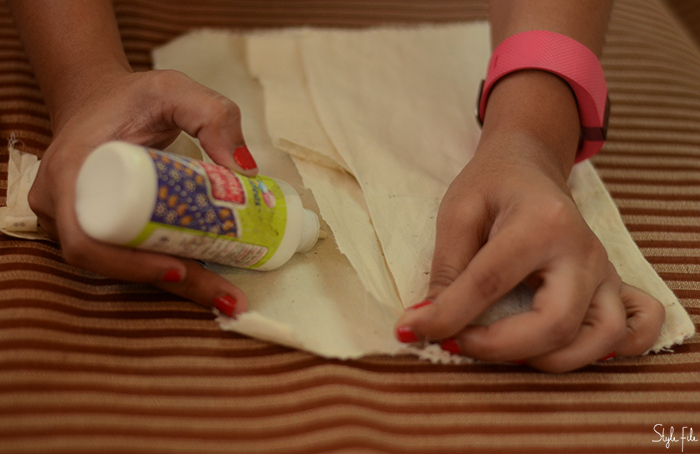 When the glue is wet, carefully layer it on the inside of the main body of the bag and stick it in place. If you find the edges coming out, add more glue and press it in place. 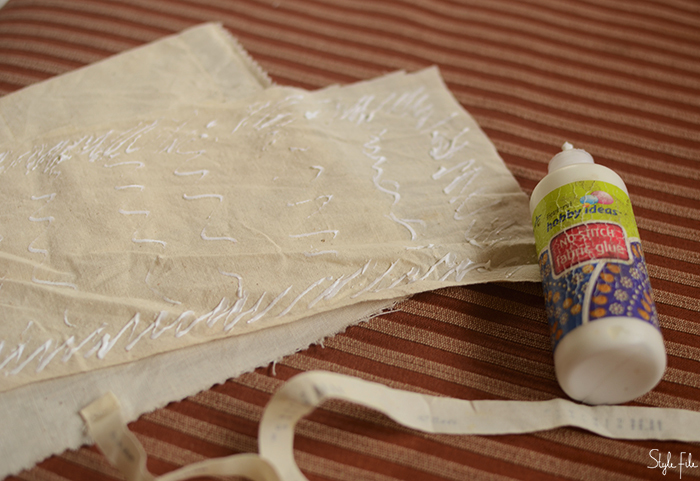 Once you're done with the fabric glue step, allow it to dry completely for 15 minutes before you proceed. 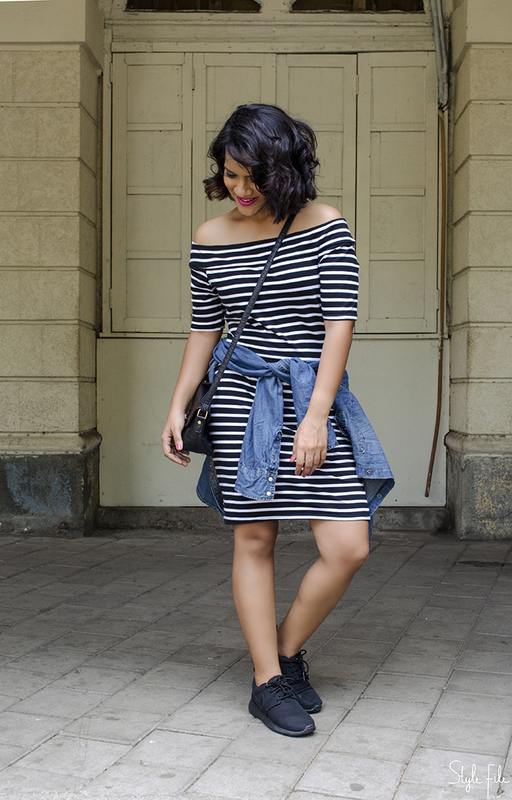 Measure the length of the cord according to your body and snip it to that length. I usually wear my crossbody bags somewhere near my thigh so I used that as a measure. 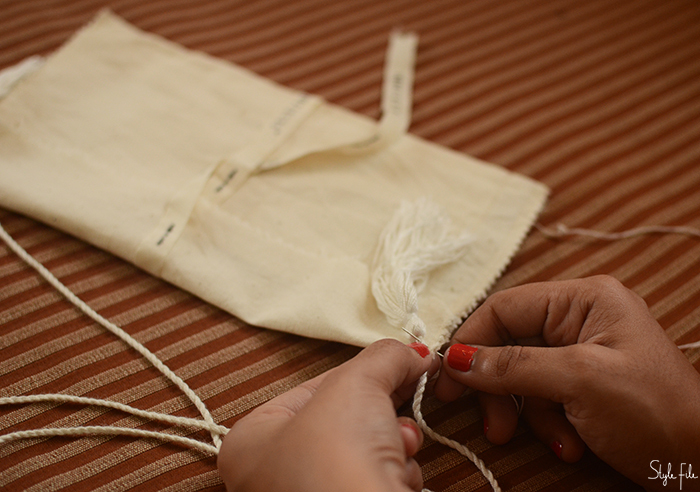 Use the needle and thread to sew either end of the cord on the uppermost point on the side of the bag's body. Over the point of stitching, stick or sew a tassel in place on either sides. Over the top flap of the main body, add a matching cord or ribbon which can be tied to close the bag. 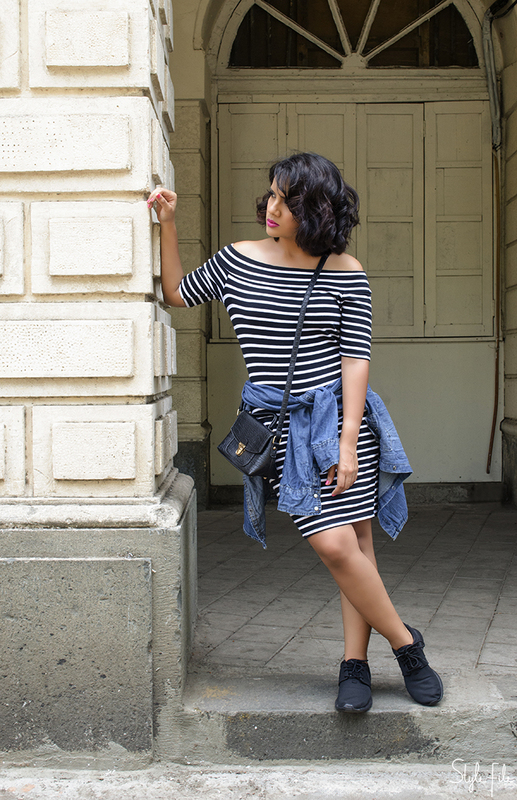 There you have it—a mini tasseled crossbody body that you can carry for a fun outing. Since it's fairly lightweight, I'd advise you not to overstuff it. It'll be just right for your phone and a few cards so take it for a spin on your next girl's brunch. When push comes to shove and you're left to choose between A and B, it isn't as easy as soul-searching a bit and making a choice. If it was that simple, we'd all be living our lives like Pinterest-esque motivational quotes. But no, it isn't—decision-making is tough stuff. It's driven by situations we live in, folks surrounding us and the point we are at that moment. It can take a whole lot of blood, sweat, tears and fill us with apprehension, regret and finally, freedom. It needs the strategy of your mind, the strength of your body and yes, the satisfaction of your heart. But don't give your heart a free-hand at the wheel. He's a tricky guy who makes emotionally-pleasing choices that can turn out wrong. Getting your heart and mind on the same page is half the job in itself. Because once you do, making the right decision will be so simple. It'll make your soul sing, lend you peace of mind and give your heart exactly what it wanted. 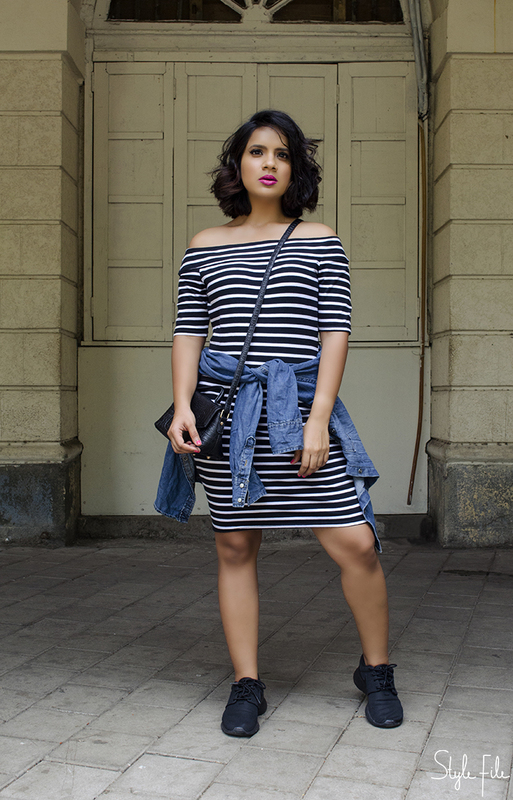 When it came to this outfit however, I gave my heart free rein and it came up with this spunky athleisure look. 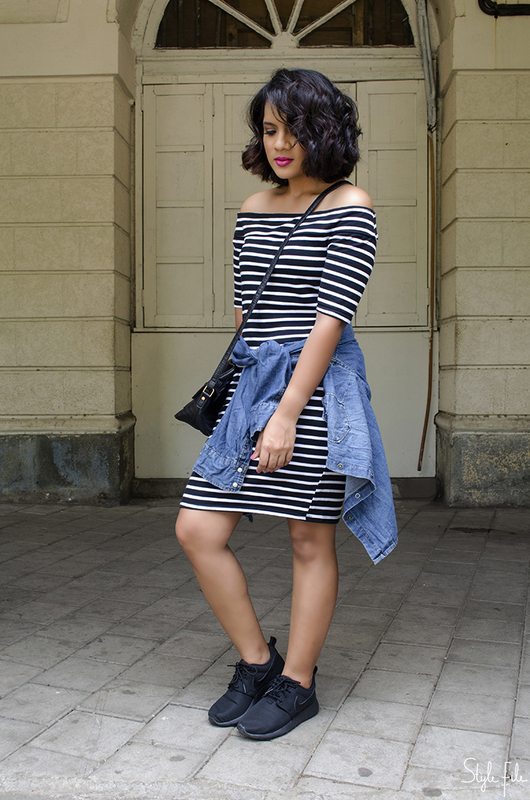 I know, I overuse the word athleisure but I can't get enough of it! 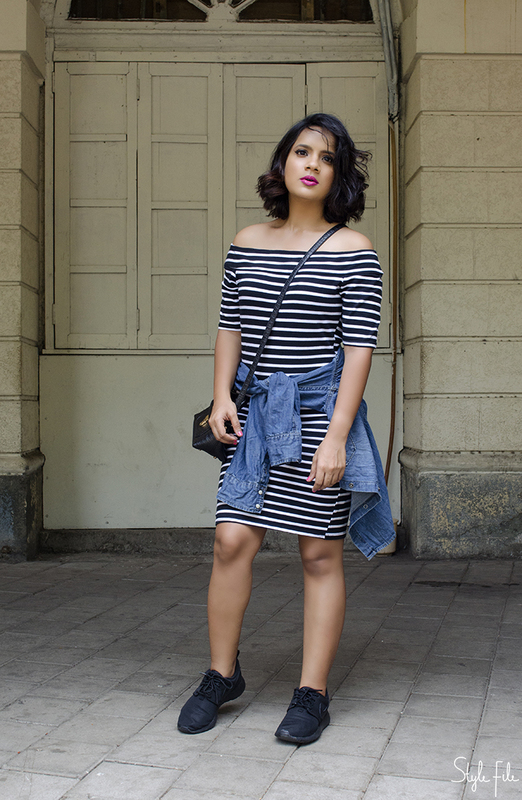 This time around, I've embraced classic breton stripes in a figure hugging silhouette with bardot sleeves. Over it, I've thrown together a worn-in denim shirt and crossbody mini bag. However, it's my newest possession, the stunning Nike roshe all black sneakers that stole the look and my heart too. 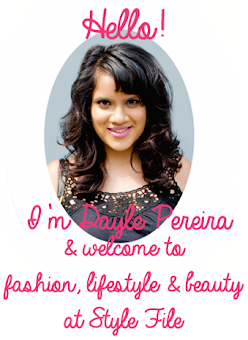 I paired it with a loose curly bob, large lashes, a hot pink lip and matching fuchsia nails. 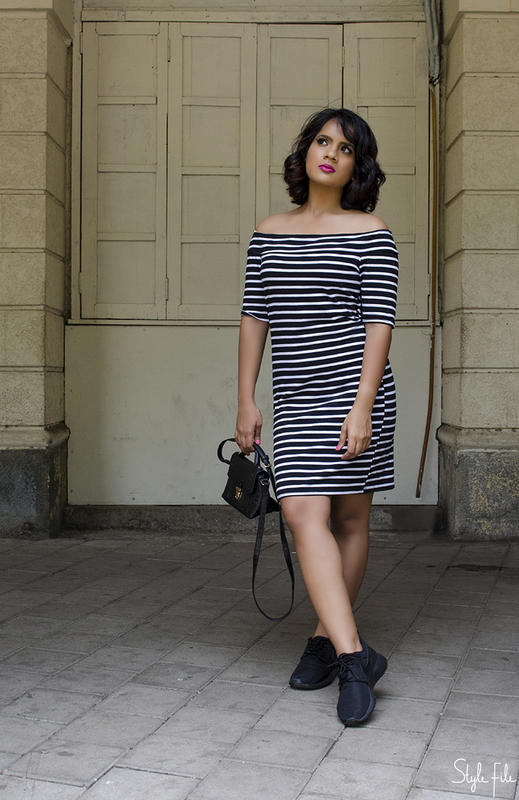 With its sporty touch and feminine flair, this look is whole lot more than my heart can handle.